Apostles of the Eucharist Retreat Video 2018 from Parish Communications on Vimeo. 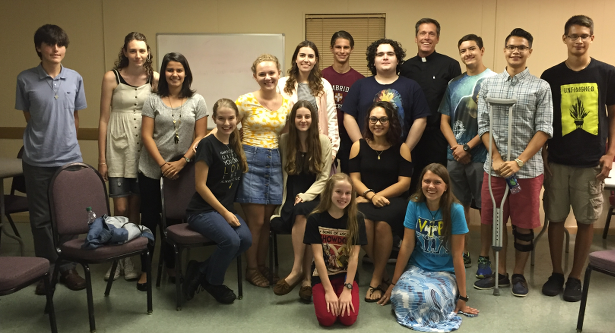 YOU ARE INVITED TO JOIN APOSTLES OF THE EUCHARIST YOUNG ADULT GROUP ON FRIDAY NIGHTS! 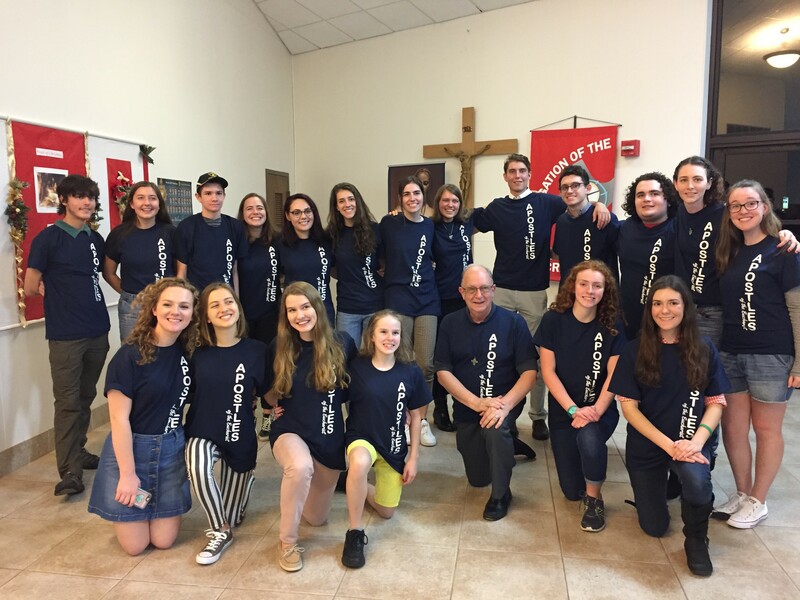 Who belongs to Apostles of the Eucharist Young Adult Group? College age young adults, 18 - 25 years old, are invited to join. 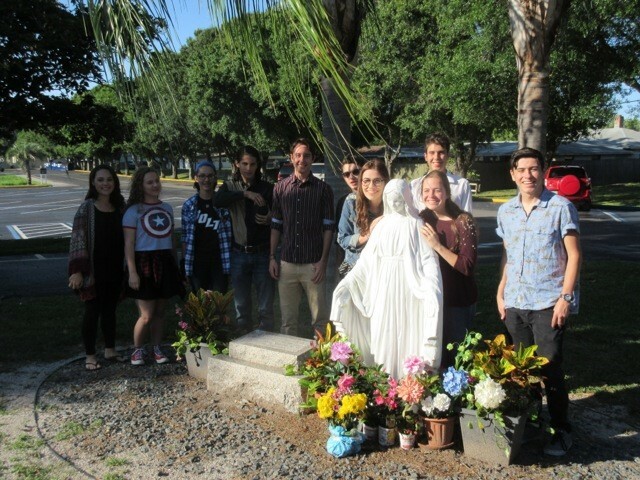 They meet on Friday nights for Adoration, formation and social time. They meet at three different churches throughout the month. First Fridays the meeting is at St. Vincent de Paul in Holiday, Florida. 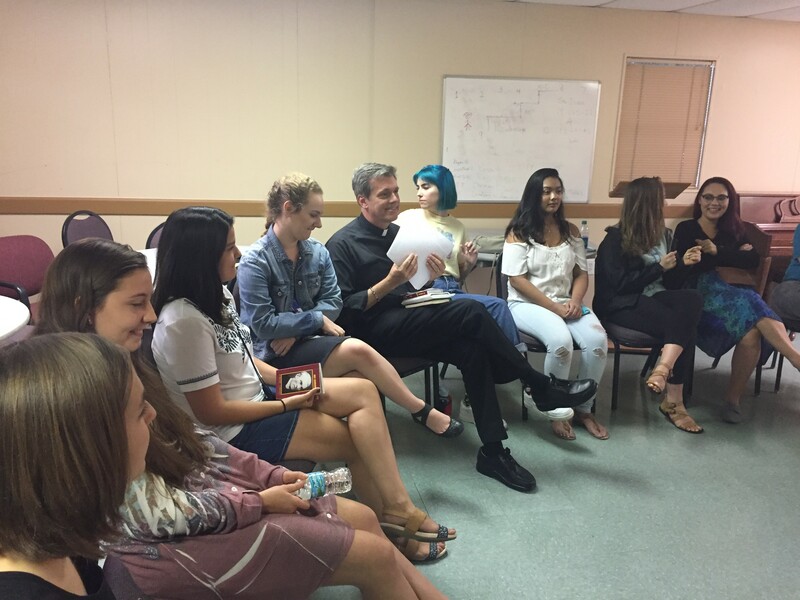 One Friday each month the meeting is at St. Lawrence in Tampa and once or twice a month the meeting will be at St. Paul in Tampa with Fr. Bill Swengros — we are truly blessed. 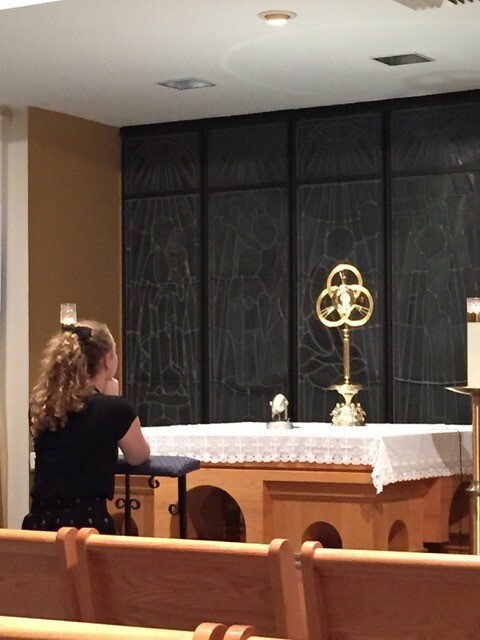 What do Apostles of the Eucharist actually do on Friday nights? First and foremost, they meet to ADORE our Lord in Adoration! Afterwards, they meet with a priest or deacon for formation using a book called Holy Communion by St. Peter Julian Eymard, the original Apostle of the Eucharist, named by the Catholic church. Why was Apostles of the Eucharist created? 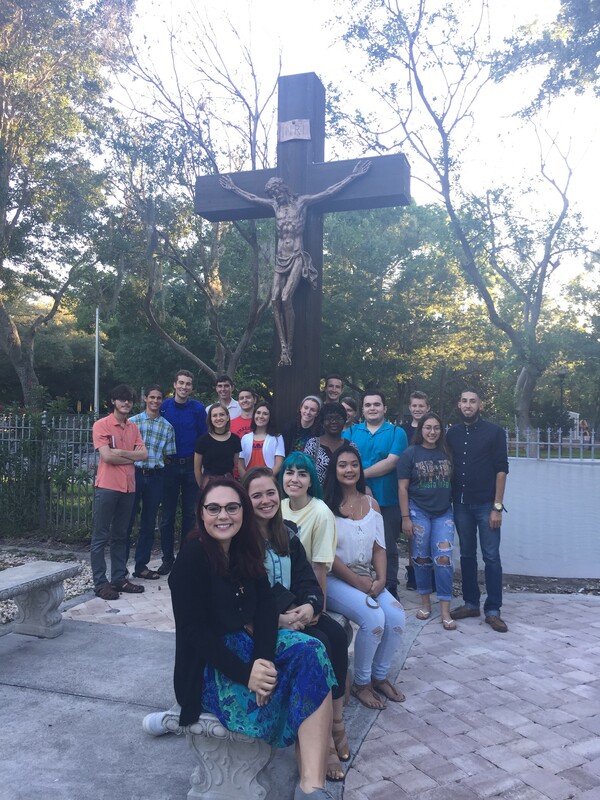 This group is for the young adult who wants to spend time with the Lord in Adoration, learn more about their Catholic faith and get to know other friends who love their faith. How long has this group been in existence? We are actually celebrating our TWO YEAR ANNIVERSARY in September! Just send an email to merimee@verizon.net and ask to be added to our email list. You will receive emails each week with the location, carpool information and updated schedules. 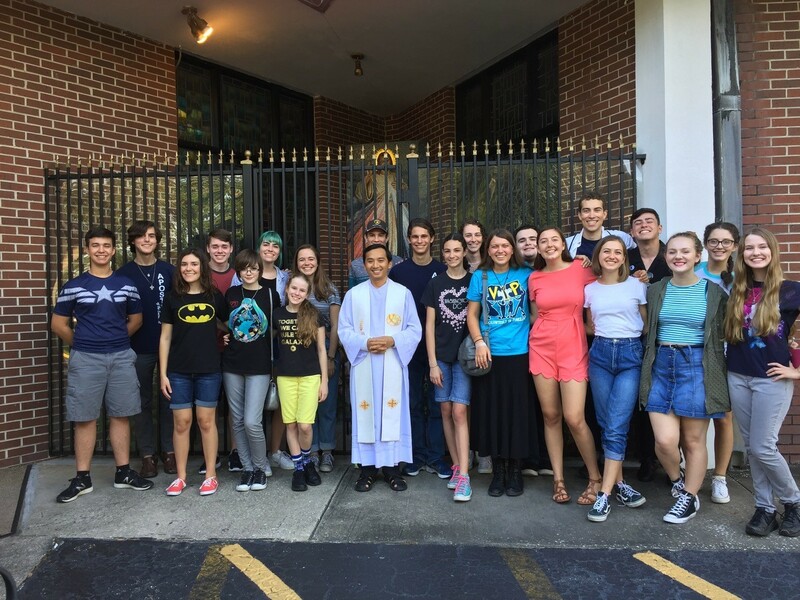 We will send you a calendar with all of the upcoming meetings for the 2016 - 2017 school year and some information on the history of the group, how it began and how it is connected to the Congregation of the Blessed Sacrament. You are more than welcome to share this information with anyone that you think may be interested. 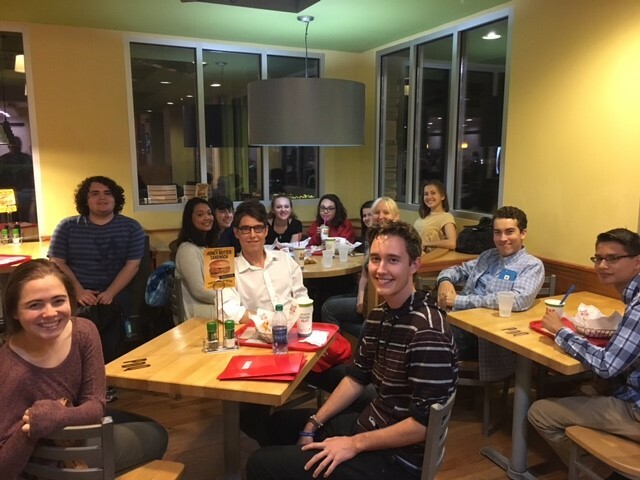 Feel free to bring friends with you to any meeting or event — we are growing because the young adults in the group are sharing it with their friends! Join our Summer Retreat for Young Adults!